If you haven’t read this week’s Home Ed stories, please find a moment to grab a cuppa and go through them. They’re such a diverse bunch of stories, and it was my pleasure to commission and edit them. As I did so, I found my preconceptions hugely challenged – and maybe you will too. What I appreciated about all of my guests this week is that none of them were slamming a mainstream education. In fact, several of them made very positive comments about the UK schooling system. The focus seems to have been more on finding the best way to educate a particular child – i.e. helping the individual to flourish. In a similar vein, I wanted to share a little of our school story – not to slam home education – but to continue the idea of being intentional about the education which fits one’s family the best. In 2014, we chose our catchment school for our eldest, despite it having been put into Special Measures the previous year. My blog post made it onto Mumsnet’s ‘blog of the day’, attracting a huge amount of interest as parents up and down the country debated whether they would have made the same decision – but I was interested to discover many people who had done exactly as we had. In short, this has been the best decision for our children, and they’ve flourished at this school. Mister is now in Year 4, Missy in Year 2, and Monkey and Meerkat in Nursery, due to start Reception this September. My experience won’t be everybody’s, but I share it to illustrate how a mainstream primary can work so well. In a city which is predominantly white, our school boasts around 19 different nationalities, and a handful of different religious backgrounds. I love that our kids have friends who are Muslim, or from Poland or other places. 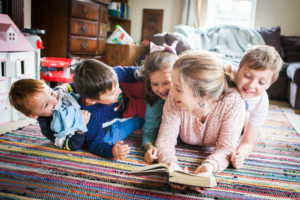 From the stories featured this week, I’ve realised that home education can also bring a diversity to a child’s environment, as many different families come together under a common banner. 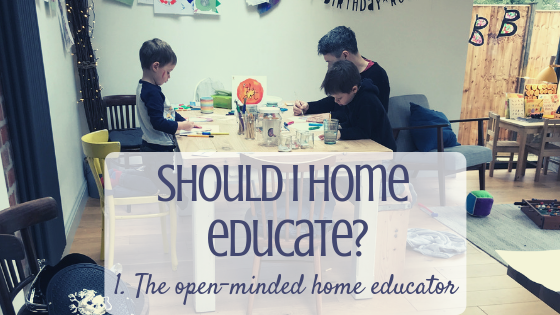 Interestingly, though – and probably unsurprisingly – home education does seem to favour more middle-class families. Those who have a decent level of education themselves are more likely to feel confident enough to take charge of their children’s learning. Maybe this is not the case, and I am happy to stand corrected – and, of course, many primary schools have a similarly middle-class demographic, so it isn’t really an issue of whether a child is home educated or educated at school. One thing I’ve really appreciated about choosing our local school, though, is that the catchment area is predominantly low-income, with a large amount of children receiving the pupil premium. My children and I have met people we’d never have met otherwise, people who haven’t had the advantages we’ve had. Many parents have had to cope with all sorts of things very far from my own experience: teenage pregnancy, no opportunity to go to University or to travel, no moving around the country, no career to speak of. And of course there are far worse situations: families torn apart by abuse, addiction, serious mental health issues and poverty. My eyes have been opened in a way that doesn’t come from reading The Guardian – no offence to Guardian readers. I like The Guardian as much as the next leftie, but there’s a sterilised way that middle-class people like to talk about poverty and ‘making a difference’, in a way which manages to keep their hands clean at the same time. Being in a school like this, your hands can’t stay clean. These parents who make up horrifying statistics across the city and the nation – they are my friends, people I like and trust. Learning about their situations from them has given me a compassion I never imagined. Mister and his class sharing books with older friends at a local care home. Academically, the school is great – and, importantly for us, it manages to somehow absorb the pressure of SATs and other testing so that the kids don’t bring that pressure home. In fact, last summer Year 6 were so pumped for their SATs that several of them showed up early for the breakfast which was provided for them that week! Pastorally, we can’t fault the level of care our children receive. The teachers stop at nothing to ensure that every child can access their education, putting in place interventions, support and dreaming up new strategies daily. In fact, they’re so good at it that the local authority sends them children who aren’t coping in other schools – although our school leadership are wise not to take on more children than they know they can cope with. Louisa and Becky found that their adopted children were struggling at school. Our adopted boys seem to have settled in to Nursery really well. Time will tell whether school is for them – but if any school is, it will be this one. With a headteacher who’s enthusiastic about becoming ‘adoption-friendly’, and a whole range of flexible plans and ideas up their sleeve, I’m certain that our school will stop at nothing to make sure my boys get the support they need. Missy with her chalk drawing of the seven continents. Much as I despise many of the recent educational reforms in the UK, our school does a great job of pushing back with ever-greater creativity and fun – taking learning outside, using drama, and allowing artistic talents to flow free. My kids have opportunities to take part in collaborative learning. From the stories I’ve read this week, I can see that many home educated children have opportunities for this too. The opportunities are no better or worse, they are just different! 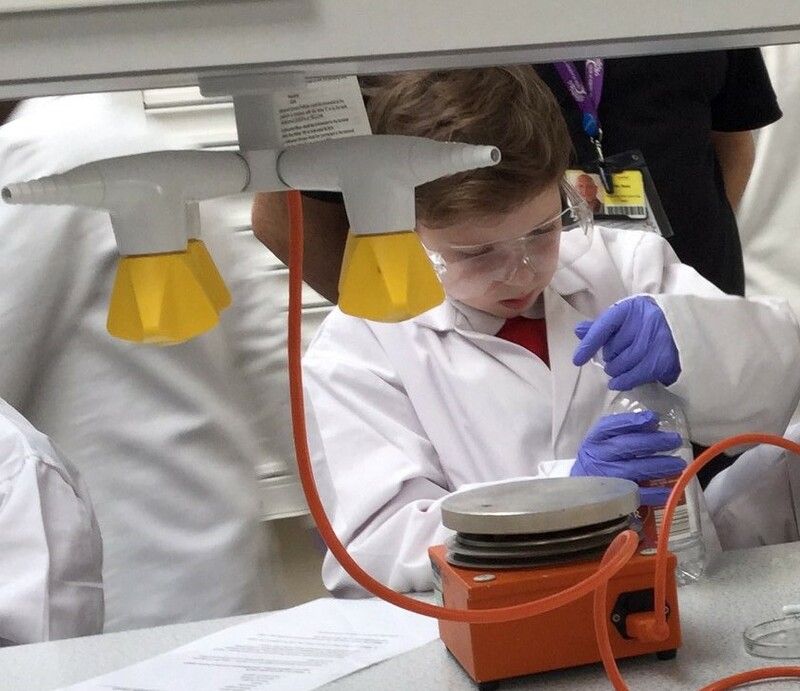 This week my son has been on a Science day at the university; as well as numerous school trips, my kids have had the opportunity to represent the school at Young Voices and a local schools Dance Festival. The school has a pledge that every child will take part in 100 cultural and educational activities before they leave at age 11. Many of these are local places of interest, within walking distance of the school. We live in a historic city, and great pride is taken in showing our children the landmarks, allowing them to walk the Roman walls or explore York Minster. Each class is even named after a street in York, and the first school trip of the year is usually a visit to the street in question, with a treasure hunt to boot! Mister conducting an experiment at a Science Day at the local university this week. For 3.5 years, I had the privilege of serving as governor, learning about the school from the inside out. It gave me a thorough understanding of what was going on across the school, so I speak with confidence when I tell you that the staff have high aspirations for all children, and do everything in their power to encourage academic and pastoral growth. Two years ago I rekindled the PTA, and am the default Chair. This role has, again, brought me into contact with parents and staff in a way I wouldn’t have got to know otherwise. I’m on first-name terms with most of the staff, and I love that I get to know my children’s teachers before they teach my kids – starting off on that positive footing is so important for a great teacher-parent relationship. Trust has been built up between the school and our church, too. The school is not a C of E school, and yet they’ve been very open to church involvement. Largely, I think this is down to the fact that the vicar is a school dad – they see my husband on the school run, at school events, at parents’ consultations – and trust is built. They know he won’t say anything stupid, and also that he knows the school, knows what to offer in terms of church support, and is generally accessible whenever the school needs him. There have been ups and downs, but we’re a school community and we do things together. We celebrated the eventual ‘Good’ Ofsted judgement two years ago, stood together in shock and horror when former pupils caused £10,000s worth of damage, and mourned for a much-loved member of staff, who died suddenly and unexpectedly last year. Sometimes I resent the sense of rush that the school run brings into our lives – the time of day I’m most likely to yell at my kids is 8.00-8.30am! And fitting in extra-curricular activities in the evening can be a struggle. On days like these, I do envy my home-educating friends. But on that front I’m grateful for two things. Firstly, we live about a minute’s walk away from school! The day ends nice and early at 3pm, and 2pm on a Friday, so I feel we have plenty of family time to chill out and engage in other activities. Secondly, our school isn’t big on homework, so we’re not slaving away in those afternoons post-school. There’s sizeable evidence that homework does no real good at primary age anyway, and so any tasks set are optional and mainly consolidation of what’s already been covered in class. We read with our kids, and take part in the odd project, but that’s about it. Missy reading in the care home! Through all the different home education stories this week, one thread has been constant: you need to do what’s best for your family. Our family is richer for having this school in our lives, and I hope we’ve been able to contribute something to the community too. In fact, I know we have – and this isn’t a statement of arrogance, but an acknowledgement that every single person who shows up on the playground each morning is valued and welcomed, and has their own unique character to bring to the community. Equally, you could say this about a home education community! Each family contributes something unique to their local group, and everyone benefits. While we have a brilliant school over the road which is going above and beyond our children’s needs, home education isn’t for us. 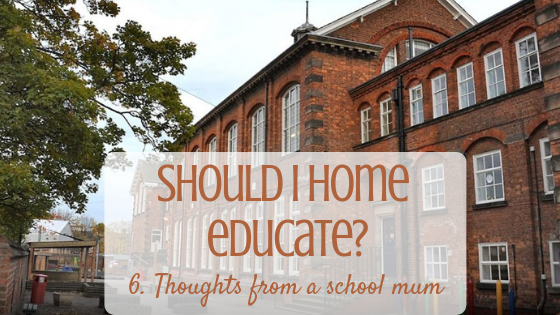 But if things should change – if we were ever to move to an area with no feasible school options, or if any of our children started to struggle with school – then I think that maybe, just maybe, we could thrive on a home education. Miss the series? Start here and follow the links at the end of each post!